SYS is a seasoned, boutique-style yacht sales company focused on providing a complete and personalized service in all aspects of yachting. We are lifetime boaters who are focused on creating life-long relationships with our clients. 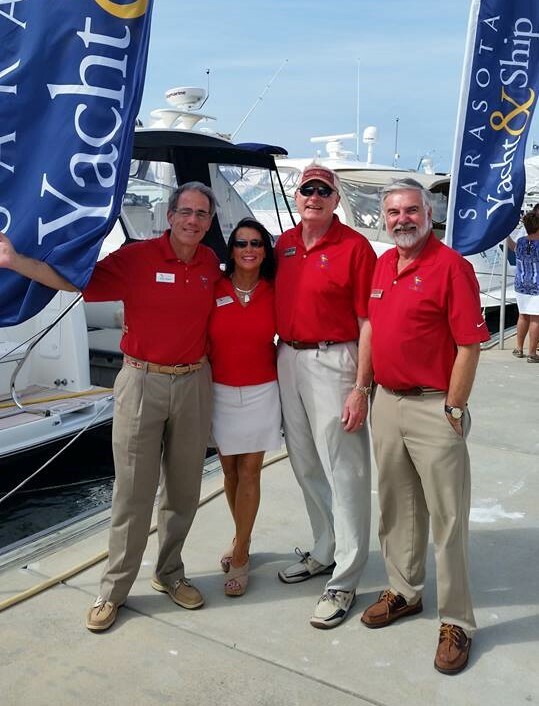 SYS Yacht Sales is a family-owned and operated yacht sales firm. Founded in 1986 in Sarasota, FL, our focus for the past 30 years has been to build lasting relationships that enhance the boating experience for owners and their families. We are more than salespeople - we are consultants, friends, and passionate boaters. Our mission extends far beyond each sale, and into satisfying our clients’ needs over the years to come. Through our industry knowledge and values, we provide our clients a level of service that is unmatched in the yachting industry. Our brokers have the experience to guide you through every step of the purchasing process, from the initial search to training and yacht maintenance. Ready to sell your boat? We are dedicated to having your vessel sold quickly and efficiently. We will employ a global marketing campaign to sell your yacht. Whether it's an intimate trip for two or a lively excursion with family and friends, we can accommodate your adventure, even in the most remote parts of the world. SYS Yacht Sales was the first in Florida to be designated as an “Endorsed Brokerage” by the prestigious Certified Professional Yacht Broker Program, reflecting our ability to provide comprehensive advice in all areas of yacht sales, including international and domestic rules and regulations. We are skilled yachtsmen, active members of the International Yacht Brokers Association (IYBA), and most of our brokers hold a CPYB certification. We are headquartered in Sarasota, FL with offices in Palm Beach, Fort Lauderdale, and Jacksonville and employ a professional sales team along with an experienced marketing and support staff to serve our growing global client base. As our presence in the international yachting industry continues to grow, we remain focused on catering to the needs of our clientele. We are consultants, friends and passionate boaters. Call on us for all your boating needs and become a part of our yachting community.